The Office of Waste Reduction and Recycling prepares a monthly report of recycling and waste disposal activities for the University. View the historical and current trend reports for information on the university’s recycling diversion rate, per capita waste generation, and more. 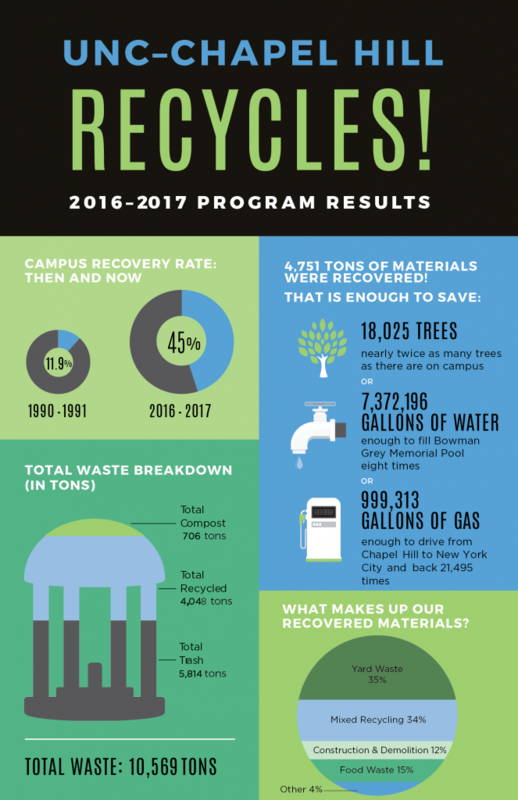 This infographic below shows the breakdown of UNC’s waste stream for the FY 2017 fiscal year.